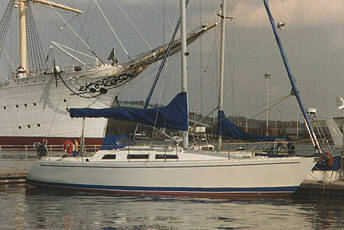 ROBERTS 370 - MULTI CHINE version built in Norway. 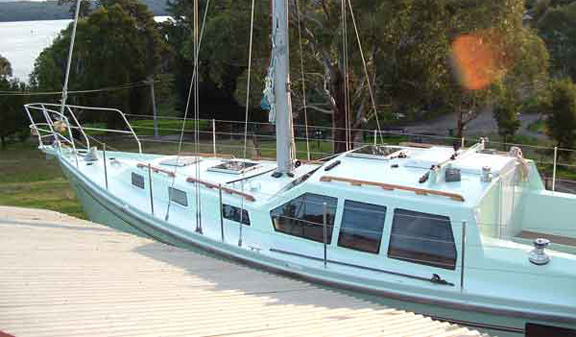 ROBERTS 370 - WOOD EPOXY built in Australia. 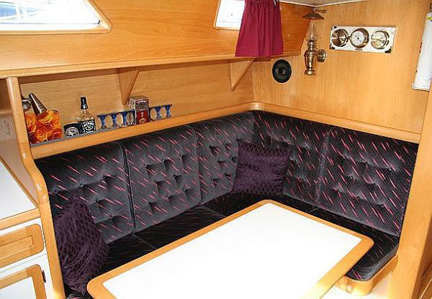 Hi Bruce, Firstly the boat has given us a great deal of pleasure and yes she sails very well. 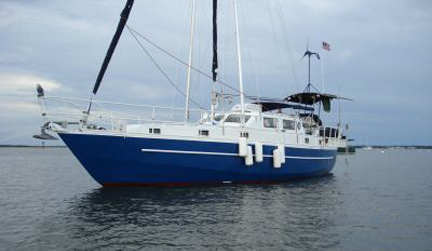 Our first real shake down cruise was a trip accross the gulf in conditions which were forcast to be 25 to 30 knots. we very soon after found that the conditions were not as to be expected. the majority of the trip was in conditions of 35 to 40 knots blowing from the SE on our port stern quarter. 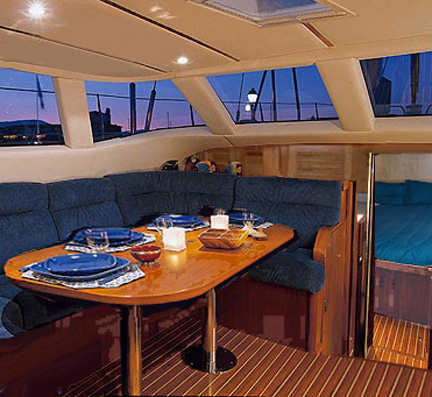 Such has been the response to this design that boat plans for it's construction are available in steel, aluminum, FIBREGLASS and Wood Epoxy. 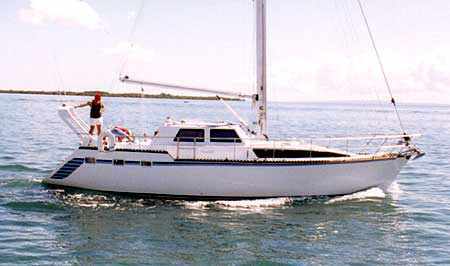 There is also the choice of constructing the hull in either radius chine, multi chine or round bilge. 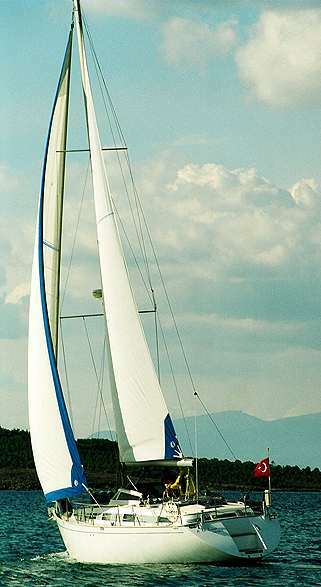 Designed as a performance cruiser, this boat has proven itself both in club racing and long distance cruising. 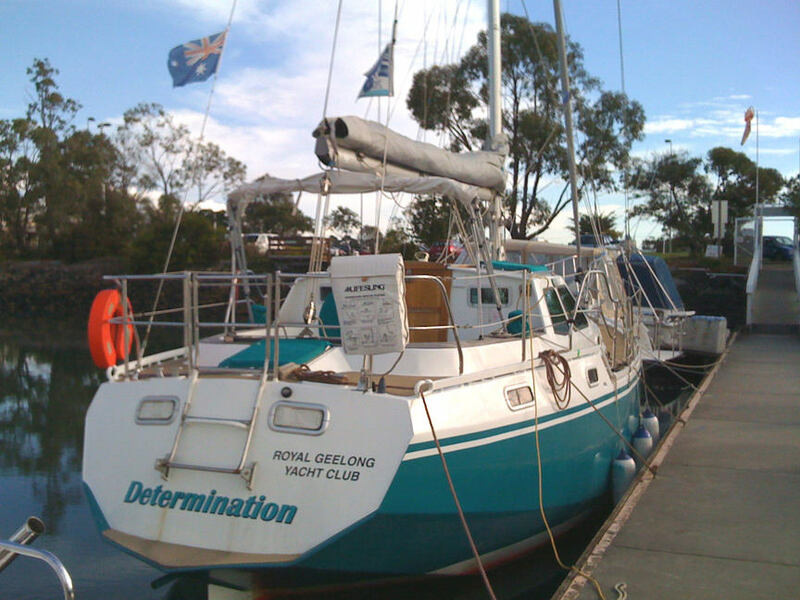 Over 500 Roberts 370's have already been completed and several have sailed around the world. There are several versions of this design as you will notice below. 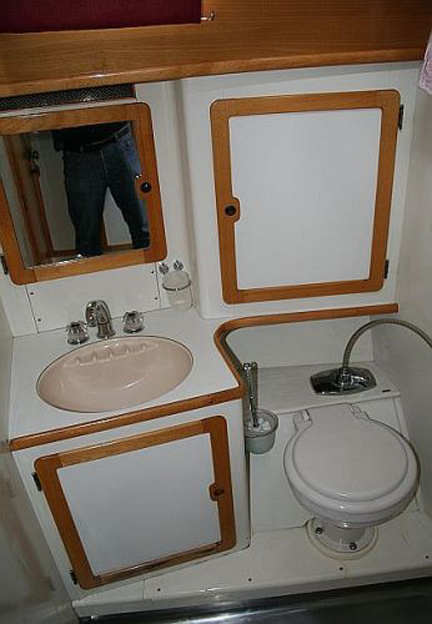 Besides giving you the choice of building this design in either an aft cockpit, center cockpit or pilot house configuration you may also chose between a cutter, sloop or ketch rig. 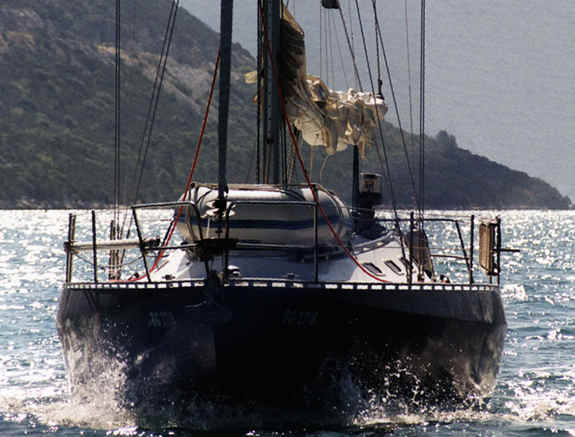 She has proven to perform well with either sailplan. 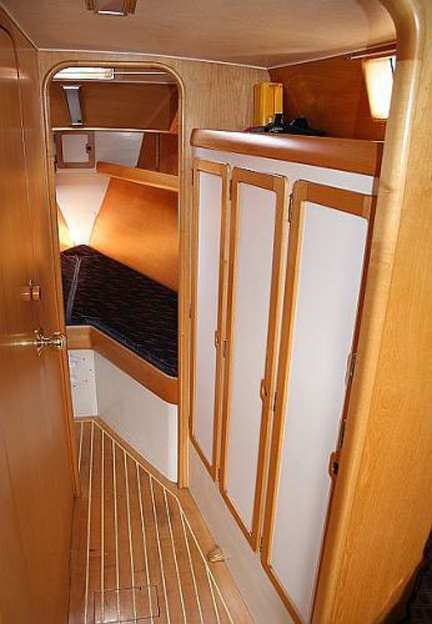 There are several shoal draft and deep keel options to choose from as well. 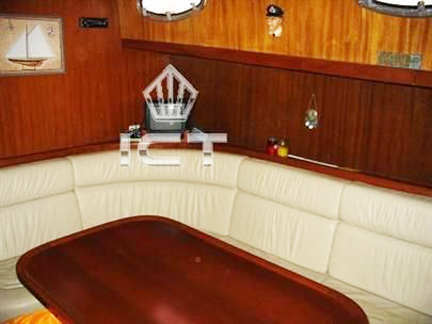 L.O.A 11.32 m 37' 2"
L.W.L 9.66 m 31' 8"
BEAM 3.76 m 12' 4"
DRAFT Shallow 1.45 m 4' 9"
Deep 1.98 m 6' 6"
This boat was built in Turkey and you can see that the builder did a nice job of building from our boat plans and frame patterns. 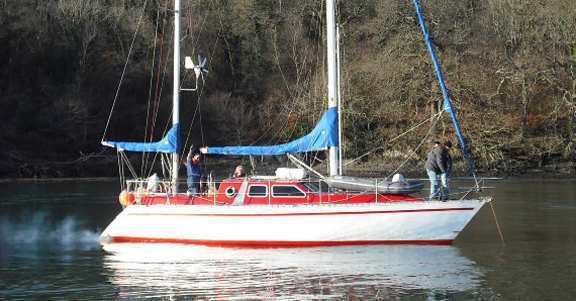 There are several alternate sail boat plans including sloop (shown) or ketch or cutter etc. 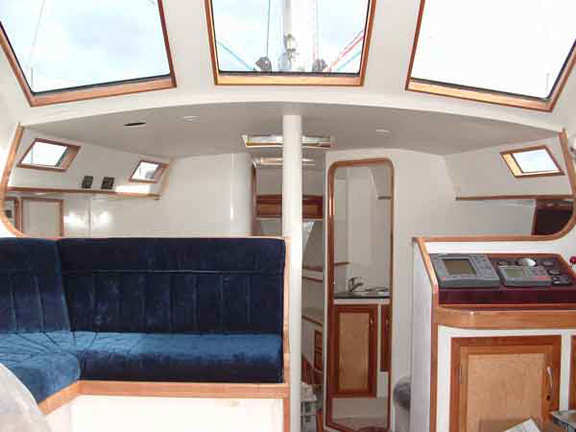 One of several possible layouts is shown here; all layouts are shown in the boat plans and study boat plans. 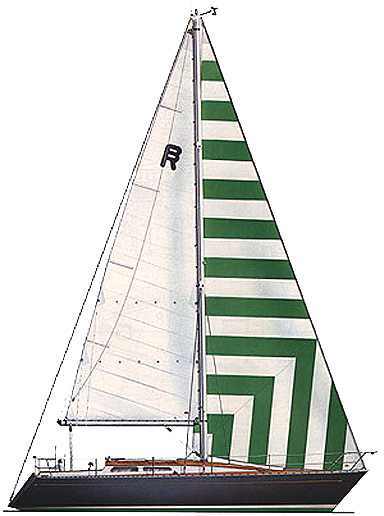 You probably have enough of this model but thought I would offer your design Roberts 370. My name is Oddvar Anfinset. The photo was taken in Gothenburg Harbour Sweden. Roberts 370 version - Inspired by our customer Will Smith - KIT can be customized too ! Dear Bruce, I am glad to communiCATAMARANe you in case of the 20-th anniversary of my HELIOS – Robert's 370 launching - June 22, 1993. 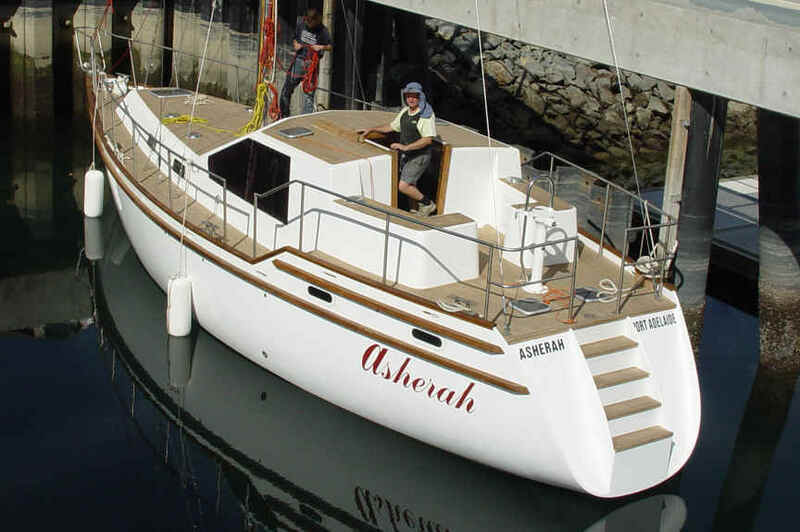 It was a great adventure to build myself such a boat, and it is still a great pleasure to sail it. 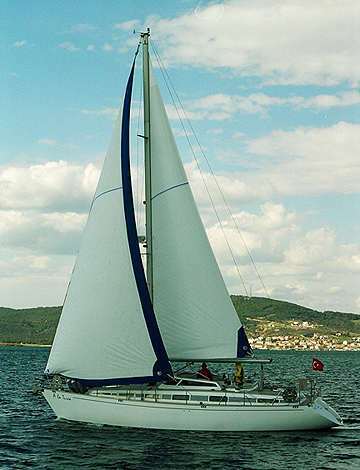 In the past 20 years we had lot of traveling at Adriatic sea and Mediterranean, but didn't realized my initial goal – around the world trip, due to the crazy war in Croatia. 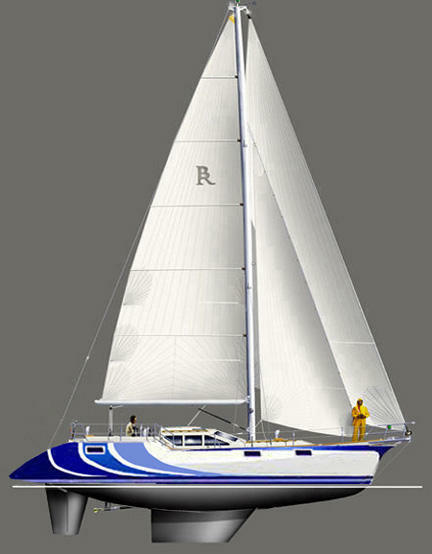 Note the different keel options shown in the drawing on left.